The Indian readymade garment (RMG) sector is estimated at USD 45 billion (about 30% of the textile and apparel industry). Of this, the domestic market is around USD 27 billion (~60 per cent), and exports stand at about USD 16.71 billion in FY 2018. India is the world's sixth largest RMG exporter . The demand and supply scenario in the domestic RMG industry looks encouraging. The market will be driven by growing population, rising disposable incomes, organised retail and increasing preference for branded garments. The industry faces moderate competition risk in the overseas market from countries like Vietnam, China, Bangladesh among others. The primary risk for the industry is input cost related, viz., availability of raw materials and cheap skilled manpower, rising power and fuel costs and high transportation costs. Apparel exports are expected to fall by 5.2 per cent to a five year low of USD 15.8 billion in 2018-19. This would be the second consecutive year of fall in apparel exportson account of reduction in duty drawback rates and rebate on state levies with effect from October 1, 2017. However, Acuite believes that the Indian RMG industry will register an overall healthy growth in FY 2018-19 on the back of boost in domestic consumption and favourable government policies. While the global demand for Readymade garments is growing, the cost competitiveness is hampering the Indian players to compete with players from Vietnam, Bangladesh, Pakistan, Taiwan, Indonesia and Sri Lanka. With rapid advancement in technology and increasing price competition from the other international players, Indian RMG manufacturers will be required to make additional capital expenditure on upgrading their manufacturing facilities. There is a lot of scope for mechanisation and modernisation to tap the apparel market, by moving more onto apparel exports rather yarn and cotton. The Indian textile and apparel industry contributes to 4% of the country's gross domestic product, 12% to export earnings, over 14% to industrial production, and employs over 45 million people, largest source of employment generation. Apparel industry alone employs about 13 million workers. India's Ready made Garments (RMG) exports to overseas markets in FY 2018 was to the tune of USD 16.71 billion versus USD 17.38 billion in FY 2017, a decline by 3.83 per cent.The primary reasons causing decline in production and exports are – reduction in duty drawback and Rebate on State Levies (RoSL) after the imposition of Goods and Service Tax (GST), working capital blockage on account of slow or delayed refund of GST and uncertainty about the export subsidies going forward. Apparel exports are expected to fall by 5.2% to a five year low of USD 15.8 billion in FY 2018-19. This would be the second consecutive year of fall in apparel exports. Apparel exports had fallen by 3.8% in FY 2017-18. Exporters are facing an acute shortage of working capital because they have not received refunds on input taxes from the government. While global demand is good for the apparels, whereas the cost competitiveness is hampering the Indian players to compete with players from Vietnam, Bangladesh, Pakistan, Taiwan, Indonesia, Srilanka as most of the nations are enjoying Generalised System of Preference(GSP ~ duty drawback on taxes) and GSP plus (~ duty free and at preferential rate) status granted by European Union (EU). EU's 'Everything But Arms' scheme offers duty free access to 49 Least Developed Countries (LDC's) excluding India is a challenging environment for India. Also, China encouraging Vietnam to supply more of yarn (which in turn source cotton from India for manufacture of yarn), and levying duty on import of yarn from India is disadvantageous for Indian cotton exporters, as well as RMG players to compete with Vietnam in global markets.On the exports front, India is the world's sixth largest exporter of RMG products. Of the apparel exports, revenue contribution from men's wear and women's wear is about 40 per cent each, and 20 per cent from kids wear. The RMG industry in India is recognised around the world for availability of all types of raw materials, low labour cost, availability of skilled workers, superior quality and the ability to process orders in bulk. This has led to an increasing number of famous international fashion players to either manufacturing or importing RMG from India. Free trade with ASEAN countries and proposed agreement with the European Union are also expected to boost exports. Also, the Clothing Manufacturers Association of India has signed a memorandum of understanding with the China Chamber of Commerce for Import and Export of Textiles to explore potential areas of mutual co-operation for increasing apparel exports from India. The Apparel Export Promotion Council, an official body of apparel exporters in India, provides invaluable assistance to Indian exporters as well as importers. The size of textile and apparel industry in FY 2018 was USD 150 billion; about USD 110-115 billion domestic market(70-75%), and USD 35-40 billion through exports (25-30%).Of the total textile and apparel exports, Readymade garments comprised about 40% (USD 16.7 billion). India aims to double the annual revenues of the Industry by year 2025. This is possible with additional investment in value added products of apparels, rather export of yarn and cotton which are low value; this also will curtail our competitors in the international domain to compete with us like Vietnam, Bangladesh who majorly depend on India for cotton and yarn. Also, systematic changes in consumer spending behaviour impacting the spending on RMG – as the choice and flexibility to wear any kind of casual clothing including office, has become the practice across. The RMG industry can be categorised into menswear, womenswear, kidswear, sportswear, innerwear, knitwear, etc. Menswear is the largest segment. The Ministry of Textiles projects the kidswear segment to capture larger market share by the end of 2021. The market is also segmented by price sensitivity – high end for the affluent, medium priced for the core and high middle classes, and low end for the low and core middle class. Denim holds a prominent place in India's RMG market and accounts for approximately 5% of the market . The increasing demand for denim is driven by its comfort and style, preference amongst youth and increasing usage by women and youth in smaller cities and rural India. Over the years, the domestic RMG market has witnessed high growth, led by growing population, rising disposable income, organised retail and increasing preference for branded garments. Further, Indian consumers are increasingly preferring RMG as standardised products are available at relatively low prices. The Indian online fashion market is gaining momentum with the entry of Indian and global fashion designers and growing brand and quality consciousness among the 16-35 year olds. Also, due to rapid digitalisation and growth in the e-commerce segment, the market, valued at USD 7-9 billion, is expected to grow to USD 30 billion by FY 2019-20 . This would further aid demand growth in the RMG industry. With the growth in demand for fashionable garments and e-retail gaining traction, the branded garments segment is expected to grow to 48% of the overall RMG industry in FY 2018-19 . The domestic RMG industry faces significant risk of change in consumer preferences. Consumers have become more fashion conscious and are constantly looking for unique and better products. This has resulted in cyclical demand based on seasons and festivals. Thus, manufacturers face the risk of holding unsold inventory if they are unable to forecast future demand based on fashion trends and respond in a timely manner to cater to the market. Acuité expects that demand for fashionable and branded garments due to favourable demographics and disposable income will provide a favourable environment for the RMG industry - both for the domestic as well as export markets. The RMG industry is fragmented with a large number of small and medium enterprise (SME) manufacturers. Further, entry barriers are low. Competition emerges not only from the organised sector but also from the unorganised sector, from both small and big players, as well as international and local brands. This leads to pressure on pricing, product quality and constant demand for newer purchases.This has led to no particular player gaining large market share. Among established players, competition is primarily between established brands and private label brands. Large players are focusing on both forward and backward integration by entering the entire value chain. Major clothing brands have better bargaining power compared with textile manufacturers, on account of product differentiation is low, large number of players, and fragmented industry. There is increased focus on cost cutting, development of new markets and maintaining product quality. However, sales levels and margins depend upon the ability to sense fashion changes and respond rapidly. Mergers and acquisitions in the sector have also been picking up pace. On the exports front, the overall RMG industry faces the risk of economic downturn and volatility in global markets. China is pushing its products through Bangladesh into Indian market, and Vietnam becoming competitive with more support drawn from China will be the major beneficiaries in Indian market. India, thus faces tough competition from China (strong infrastructure and technologically more advanced) and Bangladesh (cheap labour, free trade policies and lower fuel costs). Bangladesh and Pakistan has zero-duty access for textile exports into the European Union, which gives it a clear edge over India in the exports market. Also, the Indian government's unilateral trade initiative of opening its door for duty free trade of textile items from Bangladesh, would adversely affect the RMG industry. Acuité believes that the competitive landscape in the RMG industry will continue to be moderate with a large number of players and pressure on pricing and product quality, especially in the export markets. Growth of the RMG industry depends upon the availability of raw materials primarily cotton, wool, silk and man-made fibres. Prices of natural fibres are dependent upon the macro-economic environment (state of harvest and cost of substitutes) and are therefore volatile. Any fluctuation in the prices of cotton,mostly attributed to pests and weather condition affecting the yields, affects the performance of the textile industry. Prices of man-made fibres (of viscose, nylon, polyester, Rayon, acrylic) are dependent upon international prices of crude oil and chemicals and dyes.Rising production costs of man-made fibres is paving the way for more of cotton fabrics. This is proving to be an advantage for Indian Garment manufacturers, with India being the largest cotton manufacturer in the world and second largest in exporter of the World. Rising power and fuel costs and high transportation costs are also key input risks for the industry. The RMG sector is highly labour intensive and employs 12.9 million people, about 70 per cent of them being women. The availability of cheap and skilled manpower is a constant challenge for the industry. Rising costs of skilled labour is a risk for the industry. Also, any change in government regulations or legislation governing labour laws will directly impact the cost of production. Acuité believes that the dependence on cotton produce and its prices, prices of substitutes and availability of skilled and cheap labour, poses low risk to the RMG industry in terms of input costs. The introduction of Goods and Services Tax (GST) is expected to make imported garments cheaper by 5-6%, as the GST regime will levy 5% tax for both domestic textile manufacturers and importers. Input credit will reduce input costs and prices of finished products. Exports are considered zero-rated supply under GST, which will help India gain a competitive advantage over its competitors. GST will also help the RMG industry to shift towards the organised sector in the long run. However, post implementation of GST and effective October 2017, export incentives have been reduced on export of apparels - on cotton knitted garments, from 7.6 per cent to 2.0 per cent and on blended garments from 9.2 per cent to 2.5 per cent. Hence, while GST implementation has given a benefit of about 5-6 per cent reduction in input costs, reduction in export incentive are overall leaving a dent on profits by about 50 basis points to 170 basis points. Also, as the industry is highly labour intensive, it is affected by government policies with respect to minimum wages and other stringent labour laws. Also, there is scope for improvement in infrastructure, logistics, easy availability of funds for SMEs, research and development, innovation and skill development. At the same time, the government has taken several initiatives to promote the textile and apparel industry. GoI allocated about Rs.7500 crores in the Union Budget 2018-19 for the textile Industry, an increase by 14 per cent over previous year; it is primarily for Amended Technology Upgradation Fund Scheme (A-TUFS) ~ Rs.2300 Crs, allocation for Remission of State Levies (RoSL) to ease out the working capital blockage of exporters of apparels ~ Rs.2200 crores, for implementing Integrated Processing Development Scheme (IPDS) to meet the Zero Liquid Discharge (ZLD) and environmental standards in textile processing sector by upgrading / adoption of appropriate technology, Scheme for Integrated Textile Park (SITP) among others. Further, 100% foreign direct investment (FDI) is allowed under the automatic route in the industry. The 'Make in India' campaign was launched in 2017 to attract FDI in the manufacturing sector. To summarise, GoI's aim is to create about 35 million new job opportunities by expanding the sector to about USD 250 billion by 2022 from the current levels of about USD 150 billion. Acuité believes that the risk faced by the RMG industry with respect to government taxation and duties is low to moderate in the medium term. Strong industry dynamics and favourable government initiatives will give an overall boost to the sector over the long term. The Indian textile industry is amongst the very few in the world that is vertically integrated from raw materials to finished products (from fibre to retail). In the last few years, the industry has witnessed considerable expansion, integration and technological upgradation . In the RMG sector, the export-led manufacturing has been more organised in terms of technology and systems deployed. Technological advancement and use of modern machinery have led to the production of better quality and well-designed fashionable garments. Export-based units have established assembly lines and taken advantage of economies of scale due to large orders. Domestic RMG manufacturing is primarily unorganised with lower maturity of processes and systems, low quantity orders and piece-based remuneration. With rapid advancement in technology and increasing price competition from the other international players, RMG manufacturers will be required to make additional capital expenditure on upgrading their manufacturing facilities. There is a lot of scope for mechanisation and modernisation to tap the apparel market, by moving more onto apparel exports rather yarn and cotton. Eventually, modern manufacturing techniques, faster output, ability to process large orders, higher capacity utilisation and capability to deliver quality products will be the primary drivers for the industry. GoI is also encouraging the players to invest on infrastructure to move up in the value chain. As large organised players are technologically advanced, they face low risk of technology change vis-a-vis smaller organised players. Acuité believes that in the medium term, the industry faces moderate risk on account of advancement in technology and related capital expenditure for upgradation. The median operating margin was in double digits and stood favourably in the range of 11% to 13% in the three-year period of FY 15 to FY 17. The average median interest coverage of the industry was highly favourable at 5.9 times in thelast three years. The median Interest Coverage improved from 4.52 to 6.39 in the said period. The median ROCE improved marginally from 11.00 to 11.80 during the study period; however, it continues to be range bound. The industry had a highly favourable median gearing of 0.68 times in the three-year period and also improved in the said period. The industry had a median GCA (Gross Current Asset) Days of 215 in FY 17, reflecting an unfavourable performance in this regard. The industry's performance worsened in this aspect and declined from 181 from FY 15. Eastman Exports Global Clothing Pvt. Ltd.
J G Hosiery Pvt. Ltd.
T C N S Clothing Co. Ltd.
Acuité IRS should not be treated as a recommendation or opinion that is intended to substitute for a financial adviser's or investor's independent assessment of whether to buy, sell or hold any security of any entity forming part of the industry. Acuité IRS is based on the publicly available data and information and obtained from sources we consider reliable. Although reasonable care has been taken to ensure that the data and information is true, Acuité, in particular, makes no representation or warranty, expressed or implied with respect to the adequacy, accuracy or completeness of the information relied upon. Acuité is not responsible for any errors or omissions and especially states that it has no financial liability whatsoever for any direct, indirect or consequential loss of any kind arising from the use of Acuité IRS. © 2019 Acuité Ratings & Research Limited. (Erstwhile SMERA Ratings Limited). All Rights Reserved. Our exciting journey started in 2005 with rating of bank borrowers most of whom were small and medium enterprises. At that time, credit rating was a concept known only to large issuers of capital market instruments. 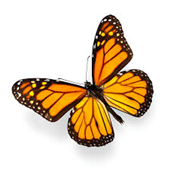 Since then, like a caterpillar transforms itself into a beautiful butterfly, we transformed to rate bonds, bank facilities of large corporates and issuers across industries. Along came many achievements - SEBI Registration in 2011, RBI accreditation in 2012, 50,000 ratings in 2018, 5,000 Bond and Bank Loan Ratings in 2017, launch of India's first Android and iPhone app to disseminate rating, tamper-proof QR-code-enabled rating rationales, and SMERA Terminal to name a few. Now is the time to re-emphasize our increasing footprint across all segments of ratings through the launch of our new name - 'Acuité'. The name has changed. The spirit of upholding highest standards of analytical rigour, continuous improvement, excellence in our processes and quest for innovation remains the same. We would like to re-emphasize that we will continue to work hard to provide independent, unbiased and timely opinion of highest standard. Acuité means 'sharpness and clarity of thought and vision'. Let our research and ratings help you take decisions with confidence.